Dave Harding is a former Cask “Cooper” who now runs corporate operations at Stave. Stave develops business applications that run in the ServiceNow platform, extend your business capabilities, and help you go further, faster. For information about their apps and for additional articles, please visit www.staveapps.com. When most people hear relationship management they think about customer relationship management (CRM). Worldwide CRM software totaled $26.3 billion in 2015, up 12.3 percent from 2014, according to Gartner, Inc. Successfully managing customer interactions has shown to increase revenue and profit. It’s easy to see why, customers want you to follow-up when you say you will and to not waste their time. That is not just true for customers, business-to-business (B2B) partnerships require that same level of consistency, yet too often companies are not applying the lessons they have learned in CRM to their potential and existing business partnerships. You need a relationship management tool that is flexible enough to be utilized to manage multiple types of relationships, including B2B, customer-to-business, service-oriented, and multi-integrator/provider (SIAM) relationships. The word synergy is used a lot in business, but nowhere does it add up more than in the right partnership. If you need proof, look at these examples. Next, schedule a demo of the Stave Relationship Manager application. This add-on module to ServiceNow can serve as your business’s CRM tool, BRM platform, and strategic roadmap knowledge base. Relationship Manager helps to ensure you are doing all you can to take advantage of your business partnerships. 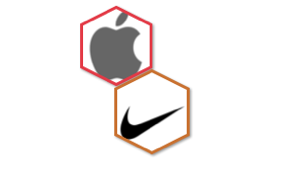 In 2006 Nike and Apple partnered to release Nike+, a wireless sensor that fit inside Nike shoes and connects to an iPod allowing users to track their runs and share them with the Nike+ community. Nike gained a unique selling point to promote their shoes and apple had a killer app to promote the iPod and later iPhone and Apple watch. By 2013 there were more than 28 million Nike+ users. 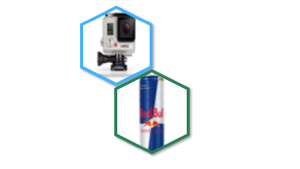 GoPro and Red Bull both target the extreme sports lifestyle, with Red Bull providing an energy drink and GoPro cameras to capture the action. In 2013 the brands partnered to put on a number of extreme events highlighted by Felix Baumgarnter’s skydive from the edge of space. The event was a media sensation watched by millions of people via live television broadcasts and streaming online. Starbucks and Barnes & Nobles were both focused and creating the right environment for customers to purchase and enjoy their wares, and books and coffee are a great fit. 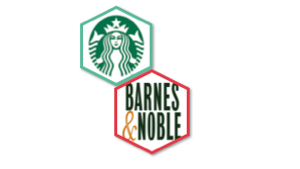 In 1993 the two came together and Starbucks opened small branded stores inside Barnes & Noble bookstores. Customers were drawn in for coffee in the morning when people rarely buy books and shoppers bought coffee when they were ready to take a break from browsing the aisles. 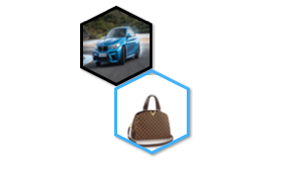 BMW and Louis Vuitton are both luxury brands associated with travel. In 2014 Louis Vuitton created a tailor-made set of luggage crafted in carbon fiber that fit perfectly into the rear shelf of the newly launched BMW i8. “This collaboration with BMW i epitomizes our shared values of creativity, technological innovation and style,” said Patrick-Louis Vuitton, grandson of the founder. The press loved the partnership and both brands got pages of free ink. Ingredient branding adds an iconic ingredient to a main brand to promote that brand as even better. 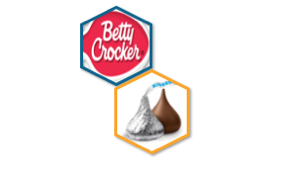 In the early 2000’s Betty Crocker’s brownie mix added Hershey’s chocolate syrup to great success. The two iconic companies launched a cross country marketing campaign starting in Hershey, PA and ending up on live TV on Good Morning America. The partnership continues today and has expanded to a number of cookie and cupcake mixes. How are you leveraging relationships in your business? We help forward-thinking organizations take their relationships to the next level using ServiceNow and the Stave Relationships Manager app available from the ServiceNow Store. Contact us today for a no-obligation, free live demo.